Join us for the North American Flexible Film & Bag Conference where companies involved in this important segment of the plastics industry come together to discuss the latest sustainability practices, sensational new supply chain solutions and innovative new technologies that are defining the success of our industry. Interact with peers and experienced leaders within interactive sessions and evening receptions. Your one-stop shop for the industry is back and full of incredible opportunities. Not only will you find all your customers and suppliers at this event, but also opportunities to network with key representatives from retailers and brand owners. Keynote speaker (sponsored by NOVA Chemicals): Commander Kirk Lippold, USN (Ret. ): In command of the USS Cole when it was the target of a deadly terrorist attack in 2000, Commander Kirk Lippold’s decisive leadership and rigorous training galvanized his crew to save crewmates lives and the ship when it mattered most. Now, he draws on his background to offer unique perspective for business leaders on team development and crisis management, as well as providing invaluable insights on national security. In his compelling presentations, Lippold recounts the heroics of his crew and outlines his Five Pillars of Leadership—highlighting the importance of integrity—to provide a solid foundation that ensures team success in good and in difficult times. Trade & Tariffs - Dr. Atashi Mukherjee Bell, BASF Corporation: Learn the latest on trade and tariffs from a Washington trade expert. What does the change in the balance of power in the House of Representatives mean for passage of the US-Mexico-Canada Agreement (USMCA) and other initiatives in the Trump Administration’s trade agenda? Will trade negotiations with China bring about a deal that ends the import tariffs? How are the steel and aluminum tariffs being negotiated with our trading partners? New Technologies for Processing Flexible Packaging – Craig Cookson, American Chemistry Council (ACC) and Irvin Payne, InSource Materials LLC. 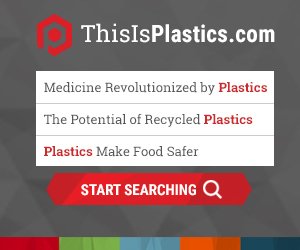 : Learn the latest on technologies, including chemical recycling, for processing flexible packaging and extracting value. Global Outlook for Ethylene and Polyethylene – Nick Vafiadis, IHS Markit: The capstone of the conference is the indispensable presentation on the latest data and key insights related to the global outlook for ethylene and polyethylene. New technologies for processing flexible packaging, trade and tariffs, sustainability issues, and the latest on statewide uniformity efforts for plastic bags. The price is $229 per night and the cutoff date is 3/18/2019.